Volunteer project: The project is based in an outdoor nature camp in the heart of the Vercors Regional Natural Park, a protected area of forested mountains in the Rhône-Alpes region of southeastern France. All kinds of projects have been hosted here through the years, with one goal: to enable a wider audience to live in the wilderness. The site is meant to become an educational place about energy transition. Since 2011, international volunteers have contributed to this project. In the last six years, the camp has hosted groups of young volunteers for an eco-construction project and collective outdoor living, and wishes to repeat the experience this year. During the project, your mission will be to continue the work done by the volunteers last year. The aim is to finalize the restoration of the collective kitchen including construction of an earth kiln and restoration of an old cooker made of bricks and using renewable energy. You will also be given other tasks in order to maintain and keep the site running such as looking after the vegetable garden, writing a blog, various construction tasks, preparing a radio program, a concert, a theatre play. This is the project for nature lovers and creators of all kinds! Special requirements: This is a French speaking project. French will be the main language of the daily life, work and activities. We expect the volunteers to have at least a basic level of French. Possible free time activities: With the help of the group leaders, you can organize numerous leisure activities, group games in nature, hiking, visiting local food producers. The Vercors plateau is known for having sheltered great acts of resistance during the Second World War - you can also explore this piece of local history. Accommodation: The facility is comfy but basic, made for the outdoors enthusiasts. You will be accommodated in tents on the camp site. Mattresses will be provided, but please bring a warm sleeping bag. The camp host pays special attention to the management of resources, energy and waste on site, but also to the source of materials and food. Whenever possible, meals are prepared with local and organic products. Location: The campsite is located a few miles from Vassieux en Vercors, a mountain village at over 1000m altitude. Volunteer project: This is the 12th year that series of International Photo marathons are organized! Throughout the year, participants from all over the world come to Iceland for an immersive photography related learning camp. The coordinators help the participants to develop their unique photographic skills through workshops and feedback sessions on technical settings, compositional considerations as well as developing conceptual frameworks which progress the participants' individual style. At the end of the workshop, we select some of our best pictures from the stay and prepare those images for an informal group exhibition locally. 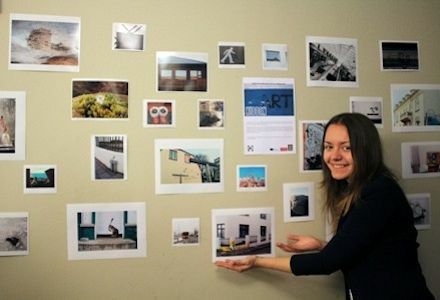 While learning about photography, the participants explore Icelandic culture by taking part in it, capturing it and also by displaying their work during the camp. One of our objectives is to deliver messages and draw the attention to the locals through pictures made during the project. Participants should be prepared for walking and visually exploring the city streets and working within a flexible time schedule. They will be photographing in their free time outside of workshop hours with images to be discussed at group feedback sessions. Participants should arrive ready to shoot and should bring with them their own digital cameras, lenses, laptops and tripods if possible. Please note that this project is a learning/sharing camp and not a regular workcamp. We may be able to organize some outdoor voluntary service activities but this depends on the weather. Participants should use the opportunity to share something about their own culture and country, such as food, music, games and films, with the international group. This project is open for 16 to 20 years old participants. The program combines learning, sharing, getting to know Iceland, its culture, having fun, as well as exploring the capital city and some of the most stunning nature attractions in the Golden Circle and the South Shore excursions. We will visit spectacular waterfalls, geysers, impressive coastline, a volcano crater, the National Park of Thingvellir and much more. Leisure time: Additional excursions (e.g. Snaefellsnes, Hot River hike or Reykjanes Peninsula) can be arranged at discount fares. Accommodation: The participants will stay in an equipped house in Reykjavík which is located about 4 km from the centre of the city. The facilities are basic with a kitchen, showers, a washing machine, and everyone is expected to show consideration for their companions. The group will sleep in shared rooms and participants should bring their own sleeping bags. Location: Reykjavik is a dynamic, modern city which lives in harmony with beautiful nature, using renewable energy sources - geothermal power and glacial rivers. The world’s northernmost capital bridges the Atlantic between Europe and North America. Reykjavík is spread across a peninsula with a panoramic view of the mountains and the Atlantic Ocean on almost all sides. It is an international city with a lively cosmopolitan cultural scene. The projects in June and July happen around the summer solstice, when the sun hardly sets and the nights are almost as bright as the days. The bright nights are magical and staying awake enjoying the beautiful surroundings is a unique experience. The fee includes transportation from the meeting point to the project site and back (on the first and last day), as well as the Golden Circle and South Shore excursions (1 full day each). The extra fee is intended to support the local host of the project and has to be transferred no later than one month before the start of the project. Volunteer project: The village of Raufarhöfn is the community that lies farthest north in Iceland. It is located in the eastern part of Melrakkasletta close to the Arctic Circle. The population of Raufarhöfn is about 200 and most of the people there earn their living from fishing and fish processing. The harbor is very beautiful and partly shaped by nature itself. A wide and untouched open area surrounds the village with a lot of birds and varied vegetation. In summer, one will observe wild migratory birds within the village being a part of the village life with the villagers most often waking up in the morning to the songs of birds. The coastline with its inlets and creeks is filled with driftwood and reaches out into the Arctic Sea. Away and on the surface of the sea, various sea-birds will be spotted and an occasional seal. On the beach, waders strut, and inland on the grassy moorlands, there are dozens of lakes filled with trout. In the vicinity, many species of ducks, waders and species that favor heaths and moorlands may be observed. There will be different kinds of tasks in this project. Some days we will focus on renovation, painting, cleaning and fixing things around the volunteer house. Through the years, volunteers have been making beautiful drawings and paintings on the walls of the house. We will continue with this art work and we'll also make some sculptures. Other days, we will clean the coastline in the north near to the Arctic circle. Raufarhofn is a magical place full of energy and amazing landscapes. This is the right place to enjoy your free time taking photos and having walks around the coastline. Local people from the village are very interested to get to know you and to take part in some of our cultural dinners or workshops. 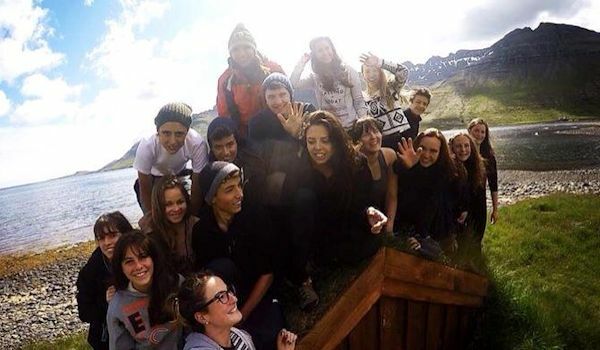 This project is a way to enjoy an amazing time in Iceland with other international volunteers and to have an incredible experience where participants share their knowledge with each other while they are exploring creativity, environmental issues and intercultural learning. Leisure time: A day tour to Lake Mývatn is included in the program. There are different leisure time options in Raufarhofn. You can walk (about 18 km forth and back) to the lighthouse, which is the most North Eastern point of Iceland. The line of the Arctic Circle frames that area of Iceland closing the water of the Atlantic Ocean and opening the gates to the Greenlandic Sea. After having made the walk, you can get a certificate in the local Hotel which confirms your visit to the Arctic Circle. Another positive thing about Raufarhofn, especially if you like birds, is that the village becomes a migrant birds nesting area giving so much life to the place. Accommodation: The group will stay in the volunteer house offering basic facilities. Beds are provided, however volunteers should bring their own warm sleeping bags. Flights arrive at Keflavik International Airport (KEF), just south of Reykjavik. A minibus trip will be offered from Reykjavik to the project and back. This trip includes unique Icelandic sights such as waterfalls, volcanic and geothermal areas, glaciers, lava fields, hot-springs, rhyolite mountain ranges and steam-vents. The fee includes the trip from Reykjavik to the project site and back which is almost 1,600 km in total and takes 2 or even 3 full days (the first and the last day of the project). Volunteer project: In this project, we are renovating an old farmhouse on the outskirts of Reykjavik, 15 km away from the city centre. The volunteers will help with the renovation in the house and on the property, and will take care of the work on the farm. We have chickens, a cat, a greenhouse for growing herbs and vegetables, and a piece of land where we grow potatoes, carrots and lettuce. The volunteers will help with all tasks related to the farm depending on the season. We will also have special topics to discuss in the project, such as food waste, recycling and renewable energy. We will also concentrate on intercultural learning and exchange. Every evening, volunteers from different countries will be in charge of presenting their country and culture in an informal way. It can be a presentation, a game, theatre – the form of introduction is up to you! Therefore, we encourage you to bring along some food, photos or anything interesting related to your country for a fun and informative evening with the other volunteers. Leisure time: Two excursions to some of the most popular, beautiful areas and natural wonders that Iceland has to offer will be organised for the volunteers. The excursions include unique Icelandic sights, such as glacial lagoons, waterfalls, volcanic and geothermal areas, glaciers, geysers, lava forests, hot-springs, rhyolite mountain ranges, steam-vents or even icebergs. There are bikes available in the farm, so the group can go on short rides around the area. A city tour in Reykjavik will also be organised with a visit to one of the outdoor swimming pools. Accommodation: The volunteers will be staying in a house in Sveinsstadir which is located on the outskirts of Reykjavik. This place is like a farm in the city, so you can enjoy pure nature and the city life of the capital at the same time. Volunteers need to bring their own sleeping bag, but beds/mattresses and bed linens are provided. Wireless internet access is provided free of charge. Location: Reykjavik is a city full of energy, just waiting for you to experience it. Powered by heat from the earth below, with ever-changing weather sweeping across the landscape, its natural features are matched by the energy of its residents. Think of the qualities of a great city - fun, culture, nature, clean air - and Reykjavik has them in spades. All the advantages of a modern, forward-looking society are complemented by the beautiful natural setting. In a country of only just over 300,000 people, the Reykjavik Capital Area has a population of about 200,000. However, since it’s the only major city in the country, Reykjavik has a lot of the amenities that you would only expect to find in a much larger center elsewhere in the world. The fee includes pick-up and drop-off service to and from KEF International Airport, the Golden Circle South Iceland excursion, the South Coast of Iceland to Vik excursion and a return trip from the farm to Reykjavik after the project. Volunteer project: The volunteers will travel around Iceland and stay in three different villages – Vestmannaeyjar in the South, Stodvarfjordur in the East and Raufarhofn in the North of Iceland. Volunteers will have environmental education sessions in different areas in Iceland. Those sessions are with the following topics: global warming, plastic pollution, food wasting, green energy. During the project, the teenagers will also have an exploration workshop on photography in the digital age to help them learn how to get the most out of their cameras while being creative in the process. They will get hands-on instruction about the tools necessary to research, compose, capture, and refine digital photographic projects. We will also focus on intercultural learning and exchange. Every evening, teenagers from different countries will be in charge of presenting their country and culture in an informal way. It can be a presentation, game, theatre – the form of introduction is up to you! Leisure time: Volunteers will travel all around Iceland and they will also have some leisure activities such as horseback riding, visiting the volcano in Vestmannaeyjar, kayaking, going to different swimming pools, hiking. Accommodation: The group will be staying in the volunteer houses in Stodvarfjordur and Raufarhofn. The houses are almost 500 m2 with 7 dormitories, a big living room and another smaller one, a fully equipped kitchen, showers. Beds are provided, however, volunteers should bring their own warm sleeping bags. Wireless internet access is provided free of charge. In Vestmannaeyjar, the group will stay in a guesthouse. Location: This volunteer project in "on the move" around Iceland, with stops in three different villages – Vestmannaeyjar in the South, Stodvarfjordur in the East and Raufarhofn in the North. Vestmannaeyjar consists of a group of fifteen islands, which are situated within a short distance off the south coast of Iceland. They are named so because the Nordic settlers in the country called the Irish, after which the islands are named, "westmen" (the men from the west). All islands were created in submarine volcanic eruptions during a comparatively recent geological time period. The colourful town, the beautiful bird cliffs, the new lava and volcanoes and the landscape in general give the islands a scenic interest as varied in character as any in the country. Heimaey is the largest and only inhabited island in the group and Iceland's longest off-shore island with an area of 13.4 km2. Fishing, fish processing and subsidiary trades are the main source of income. Heimaey is sheltered in the north by low mountains and the imposing Heimaklettur cliff teeming with birdlife, which protects the narrow cove at the end of which the harbour lies. Stodvarfjordur: Scoured by Ice Age glaciers, the dramatic east coast boasts long, narrow fjords with steep sides and jagged peaks which contrast with inland fertile farmlands. Natural harbours depict postcard-like fishing villages and seemingly never-ending roads cross the region, providing beautiful views. “Fjarðabyggð" is an association of villages in the Eastern fjords of Iceland. It includes the towns of Eskifjörður, Fáskrúðsfjörður, Mjóifjörður, Neskaupstaður, Reyðarfjörður, Breiðdalsvík and Stöðvarfjörður, all tiny fishing villages with steep mountains towering just behind the houses. In this area you will see some of the features that make Iceland a unique place in the world: spectacular fjords with a rich sea life, a great variety of birdlife and countless breath-taking hiking paths. You will explore the area during your stay in the east. Raufarhofn: The village of Raufarhöfn is the community that lies farthest north in Iceland. It is located in the eastern part of Melrakkasletta close to the Arctic Circle. The population of Raufarhöfn is about 200 and most of the people there earn their living from fishing and fish processing. The harbor is very beautiful and partly shaped by nature itself. A wide and untouched open area surrounds the village with a lot of birds and varied vegetation. In summer one will observe wild migratory birds within the village being a part of the village life with the villagers most often waking up in the morning to the songs of birds. The coastline with its inlets and creeks is filled with driftwood and reaches out into the Arctic Sea. Away and on the surface of the sea various sea-birds will be spotted and an occasional seal. On the beach waders strut and inland on the grassy moorlands there are dozens of lakes filled with trout. In the vicinity many species of ducks, waders and species that favor heaths and moorlands may be observed. We will drive through the south to the east of the island. After the stay in the East, we will go to the North and from there to Reykjavik. This trip includes several stops where you will discover unique Icelandic sights, such as glacial lagoons, waterfalls, volcanic and geothermal areas, glaciers, lava fields, hot-springs, rhyolite mountain ranges, steam-vents or even icebergs. The fee includes the travel around Iceland, the Golden circle excursion and the boat tour to the Vestmannaeyjar islands. Volunteer project: This is an international thematic camp for the age group 14-16. Teenagers from different countries will create a “group film” in a youth center. The majority of the group will be Turkish teens, but the camp language is English. The participants will make a short film by using hand cameras and computers. They will use their creativity & express their ideas to write their scenario, act, shoot and direct their films in this project. Besides, the daily program of the project may also include other activities like sports, arts & crafts, creative drama, music, etc. Turkish and international volunteers will be leading or assisting the daily activities. The Youth center is a place where various voluntary and youth camps are hosted. The campsite is a secure place and participants will not be allowed to leave the camp site on their own. Arrival and departure: Airport transfer may be organized upon request but only from Istanbul Atatürk Airport (in the European side) on July 19, Friday, between 08.00 – 17.00 hours, at the cost of 10 €. The group will depart to the project site on the same evening by overnight coach together with the Turkish participants and the group leaders. The teen participants will also be accompanied on their return to Istanbul on the day of July 27. The group will arrive in İstanbul in the evening and a hostel bed+breakfast will be arranged for them at a cost of 20 € per night. Thus the return flight tickets must be arranged for the next day July 28, Sunday from Istanbul Atatürk Airport. Alternatively, if you can travel alone, you can also fly to Izmir Airport on July 15, Sunday. The project site is 2 hours by train from Izmir Airport. Accommodation: At the Youth center, in 2-3 bedded rooms with showers and toilets. Sleeping bag and mat are not necessary. Food will be served in the center. Location: Yeni Sakran is in the west of Turkey. The center is by the seaside. The nearest city is Izmir.